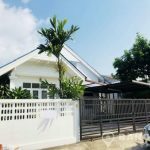 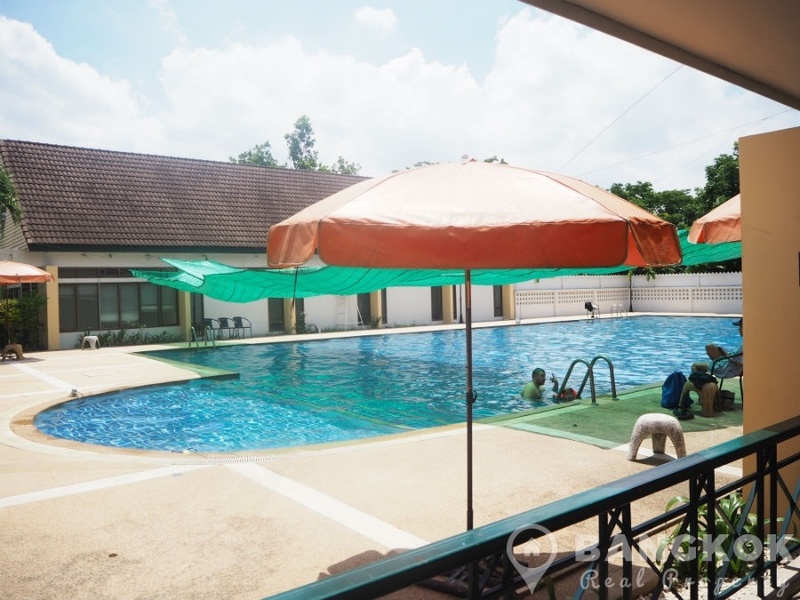 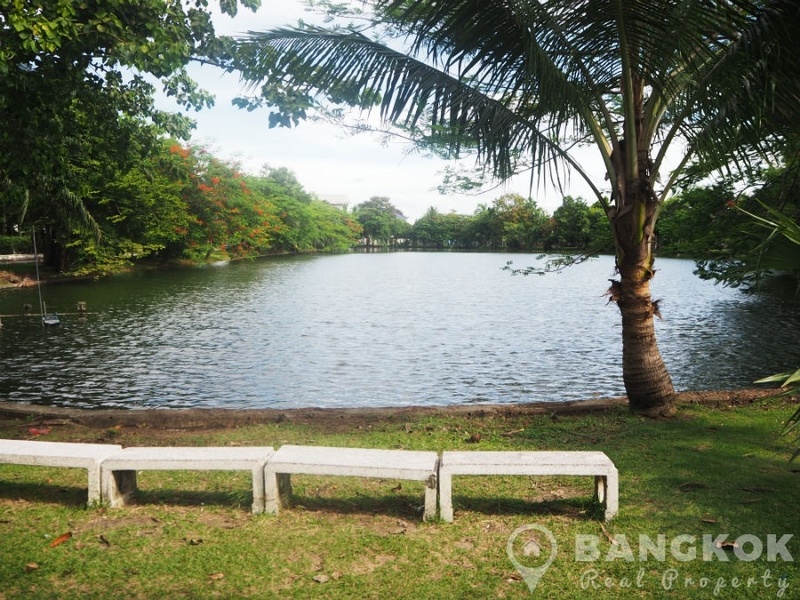 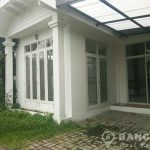 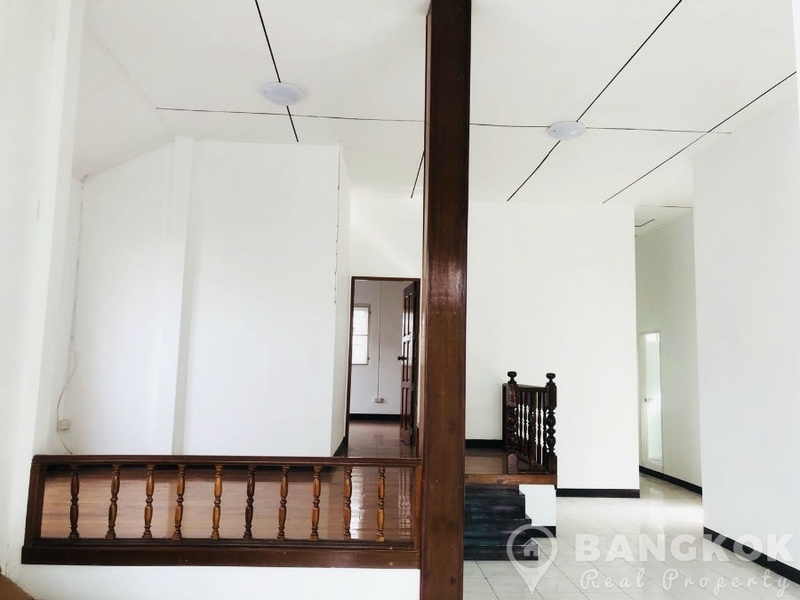 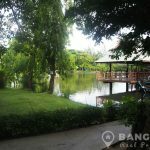 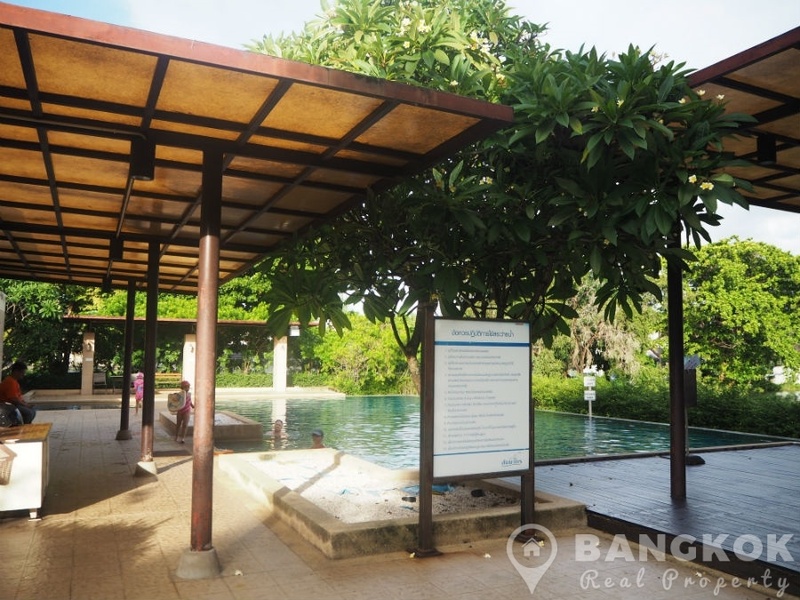 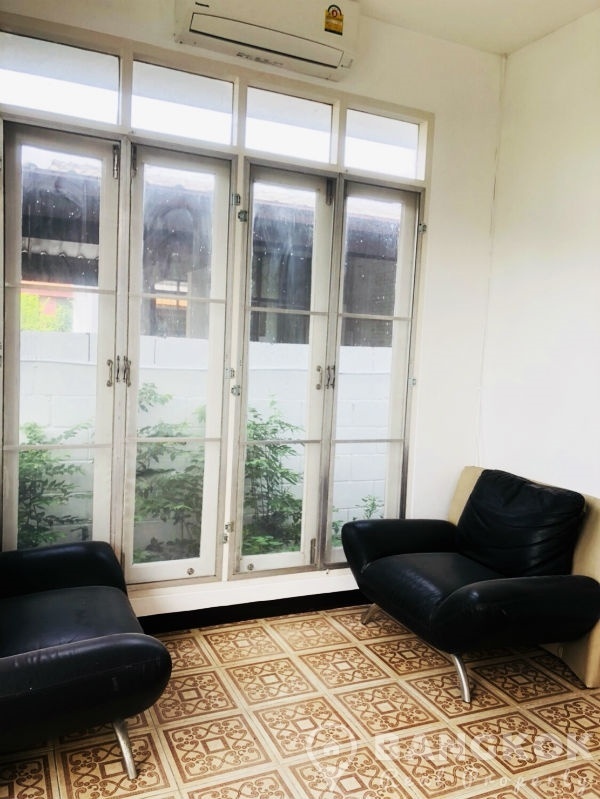 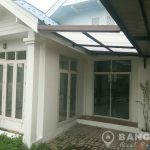 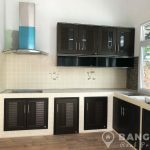 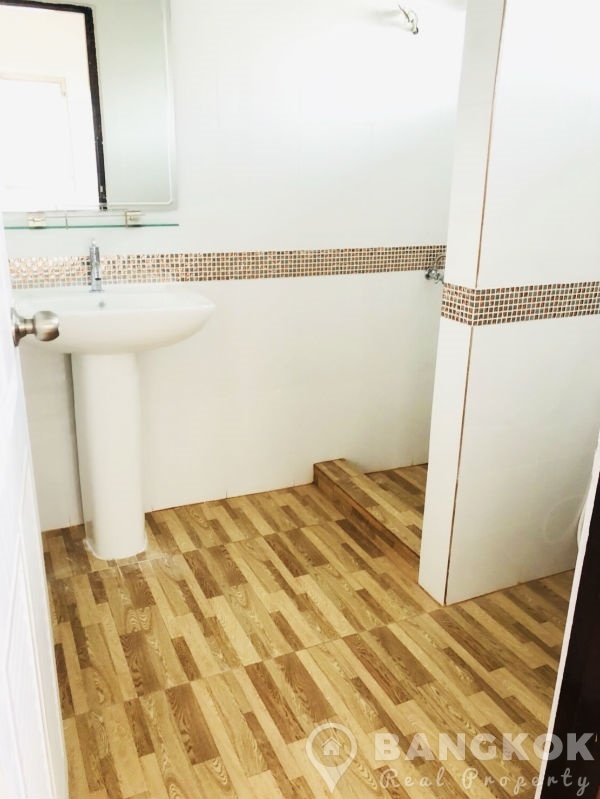 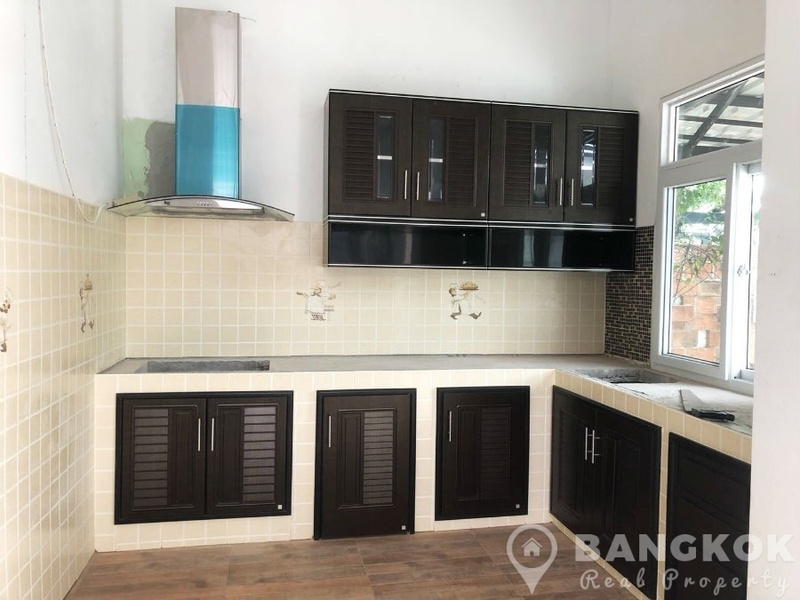 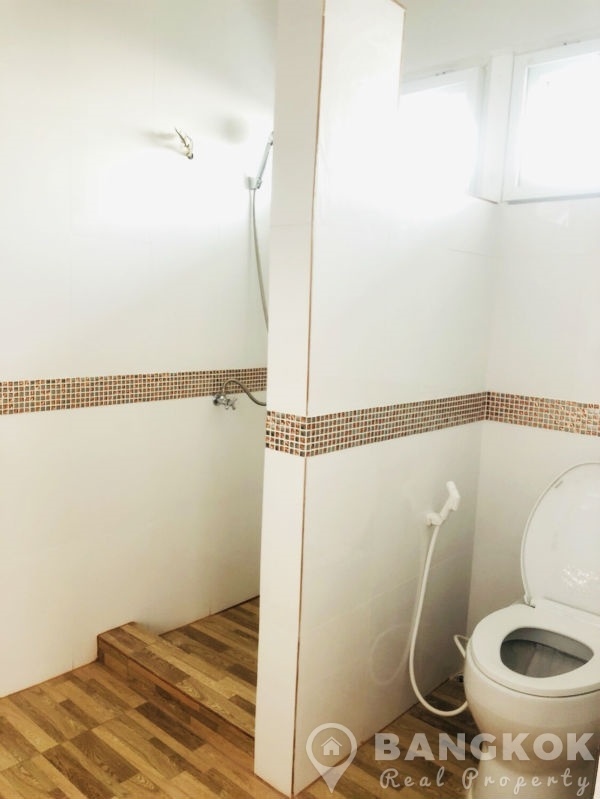 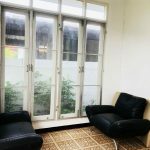 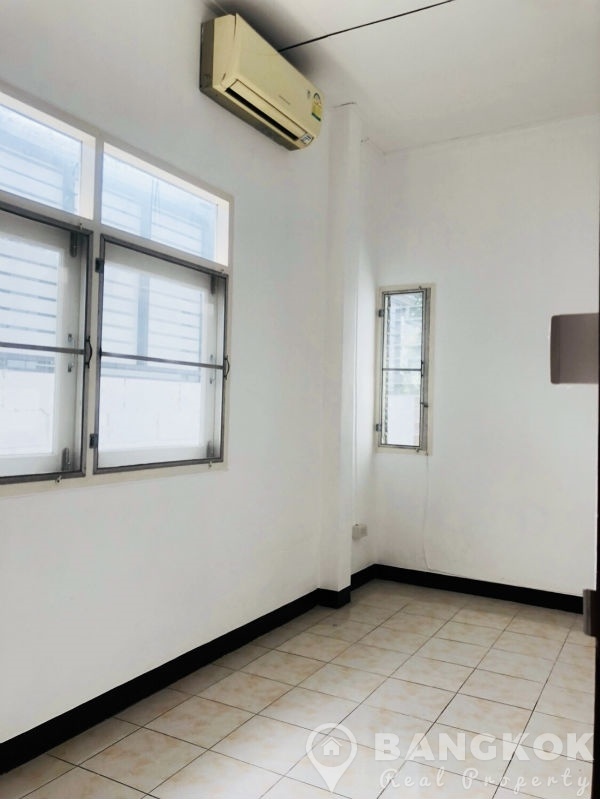 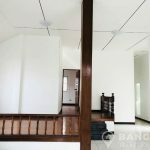 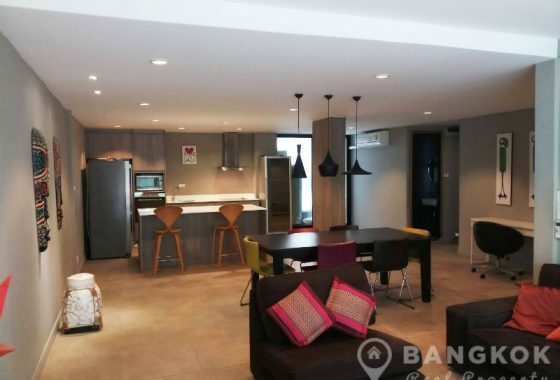 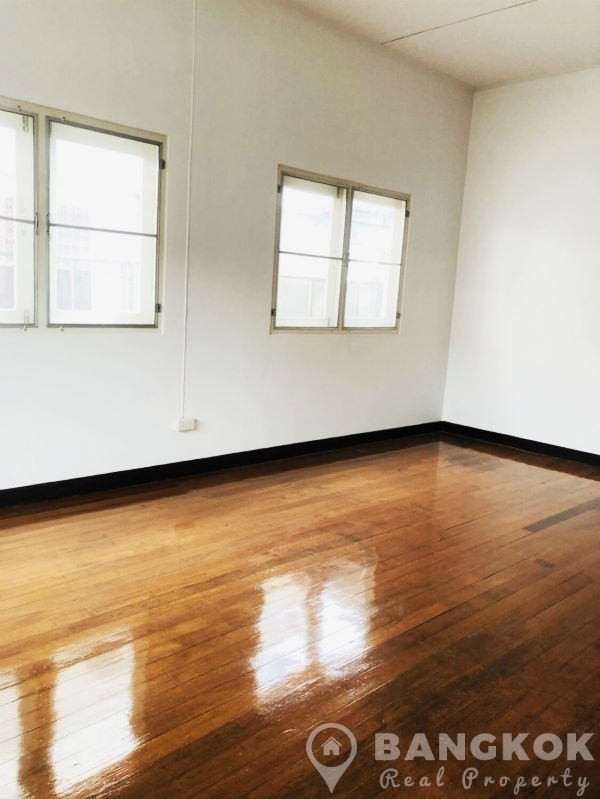 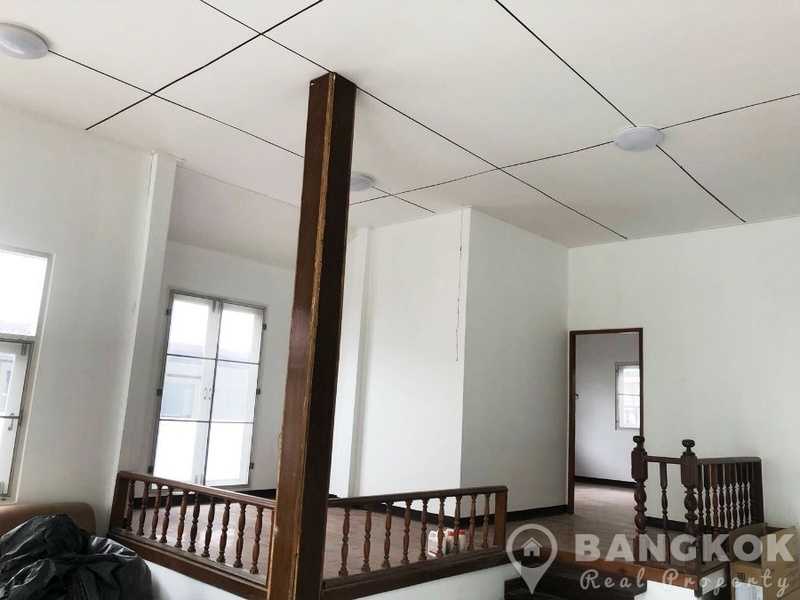 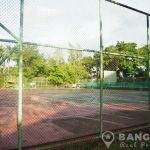 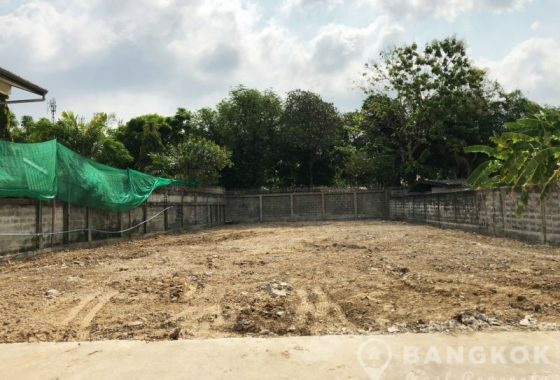 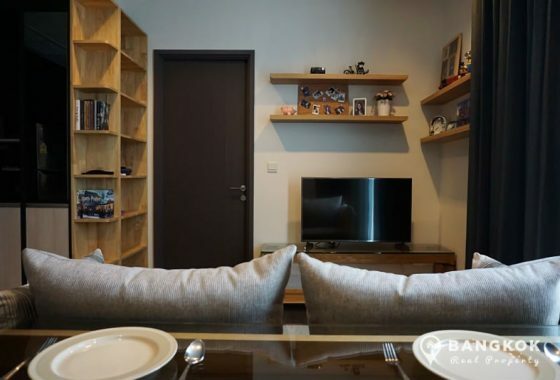 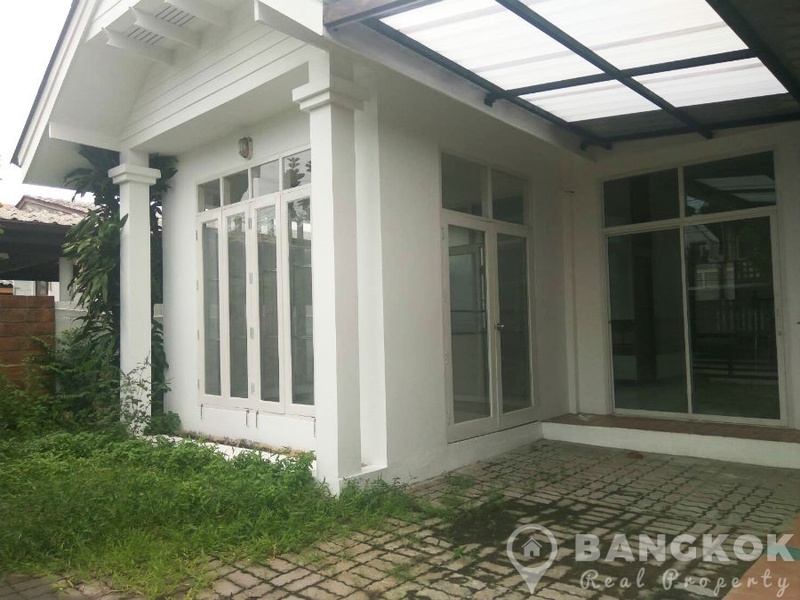 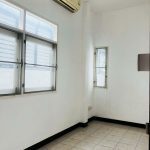 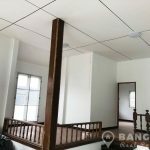 This detached, recently renovated, single storey (split level) Sammakorn House with 2 bedrooms is now available to rent located in the popular Sammakorn Village just off Ramkhamhaeng 112 road. 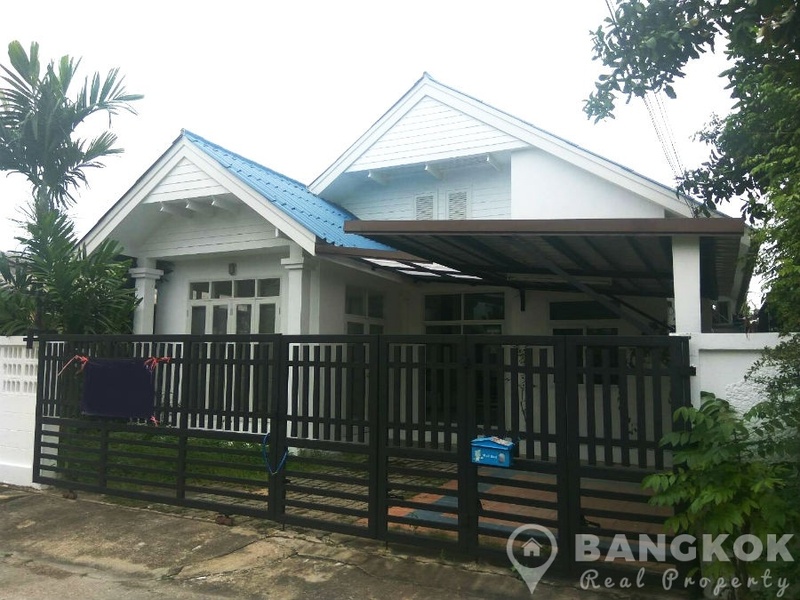 This house is ideally located within the Village near the main shopping area with its many amenities of amenities, restaurants, shops, Golden Place, Pure Place Mall, Villa Market, the Paseo Town Mall and close to several international schools including Bromsgrove, Ruam Rudee, Ascot International School and the new Brighton College Bangkok. 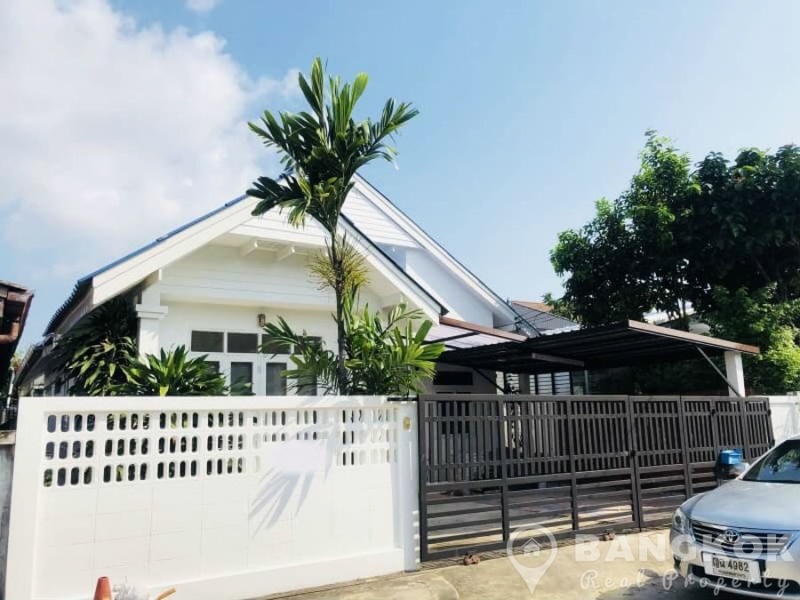 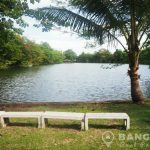 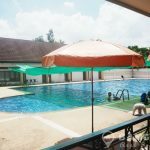 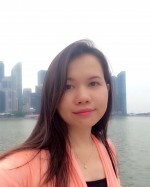 Sammakorn is only a short drive away from Ramkhamhaeng ARL (airport link) station and the outer ring expressway and easy access to Suvarnabhumi International Airport. 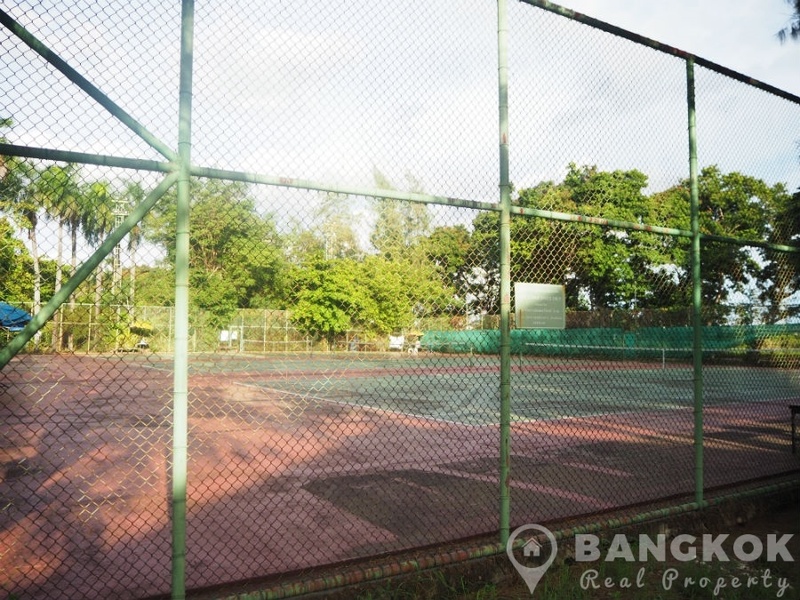 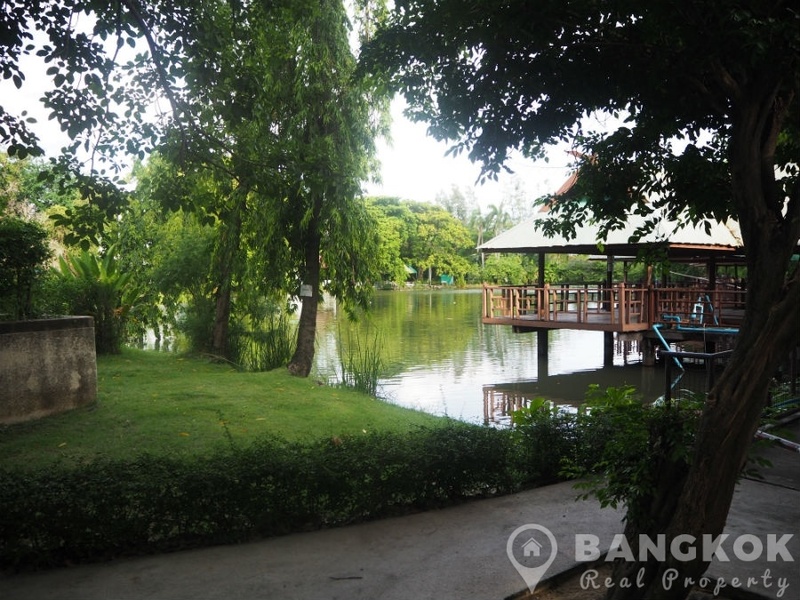 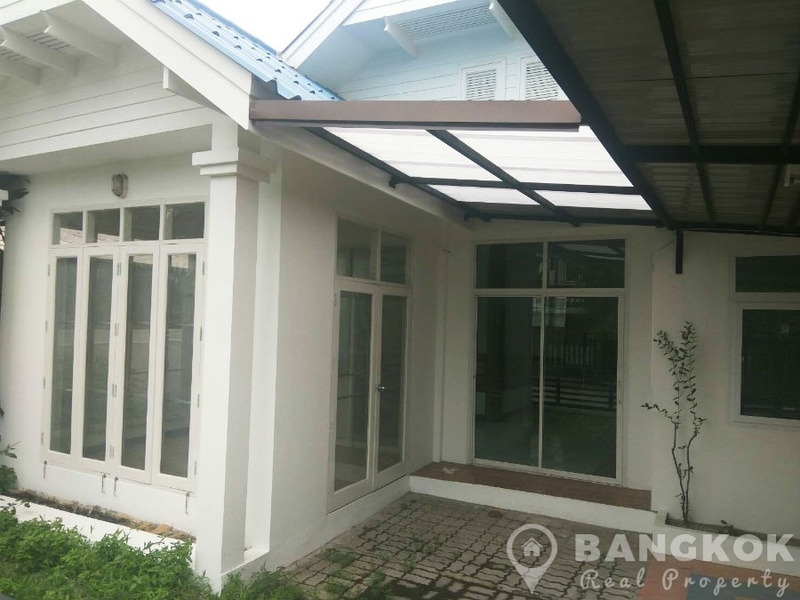 This bright and airy Sammakorn house is detached and sits on a plot of 60 sq.wah (240 sq.m) with a small garden area. 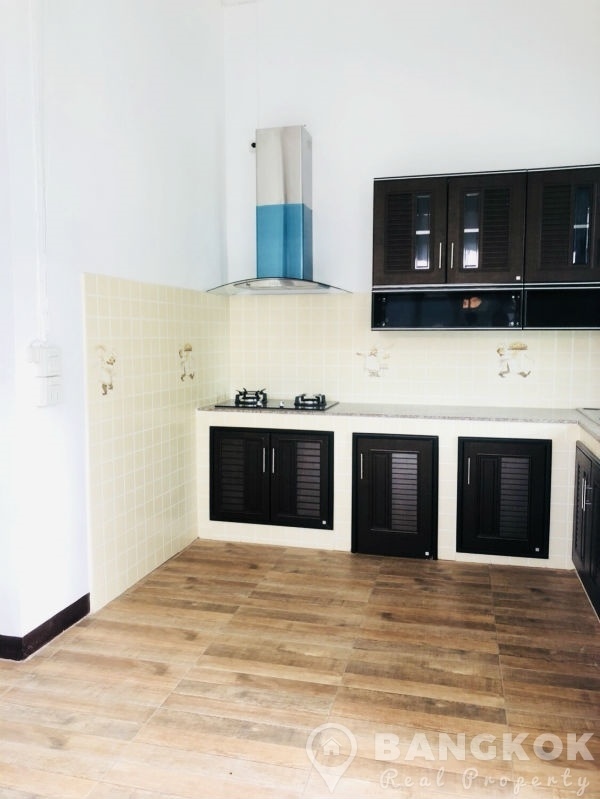 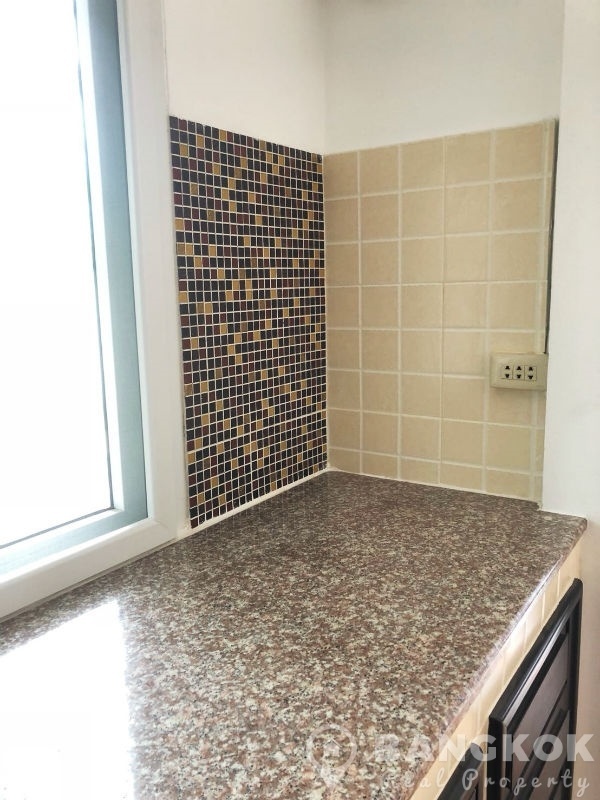 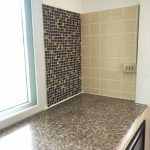 The house has c. 160 sq.m of living space, it comes with hardwood and tiled floors,floor to ceiling windows, separate renovated modern kitchen with built in units, gas hob & extractor fan and views to the garden. 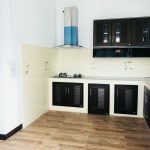 The houses comes with 2 x double beds and wardrobes, sofa set and dining table with 6 chairs (not shown in photos). 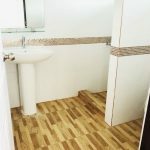 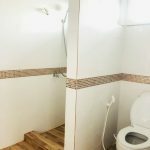 The house has 2 double bedrooms, master ensuite and main bathroom both newly renovated with power showers. 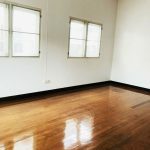 Outside is off street parking for 1 – 2 cars.